Hello my beauties and welcome to another behind the scenes blog post. I am asked so many questions as a blogger. Why did you start blogging? How do you stay motivated to blog? What would you do differently? It made me realise that perhaps other people are looking for an outlet and aren’t sure where to start. Maybe YOU want to start your own blog but don’t have a clue where to start? Today, I am sharing some top tips for starting a WordPress blog site including what I would differently too! Have a clear niche for your blog as this will help you decide who your audience are. For example, my blog is focused mainly on beauty, lifestyle and fashion. Selecting your niche means you are able to pick appropriate topics to write about and direct them to the right audience. It also means that you are able to stay focused on these subjects keeping your blog tidy and more professional looking. Pretty simple this one but will ultimately set you off on the right foot. This is to write a few blog posts prior to making your blog a live publication. Via WordPress scheduling or keeping draft posts is super simple. You simply apply it within the post settings to schedule or hit the save button to add it to drafts. If you do this you will find yourself starting with a much better organisation plan than myself. You will also not be left panicking you don’t have a post if you become unwell or go on vacation. It really is such a simple step but could and likely will save you hours of time. It also doesn’t hurt to stay ahead on a blogging schedule either. This way you’re not scrambling for time to blog. Or to get a last minute post together. Do focus on social media as part of your blogging but do not overwhelm yourself with it. You really don’t need to be on ALL social media platforms. For example, I focus on Facebook, Instagram and Twitter. I have managed to gain nearly 15,000 followers so not going to bad! You can also link up most social media platforms via WordPress. This allows you to have your blogs shared via all your social media accounts at once. No extra scheduling or forgetting to share it here or there. I have to say this is such a key fact and so many people miss it. This is to not lose sight of your site! What I mean by that is to be checking your site regularly to check for how easy it is for a user to navigate? How tidy does it look? Does your logo need resizing, is it a little fuzzy on quality? 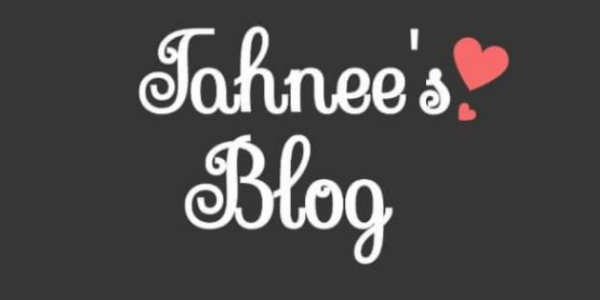 Do your blogs flow well or do they look messy and all over the place? WordPress has great themes that you can use to help aid your website design but there are also great places that will do lots of these intricate bits for you. A great one can be found here specifically for WordPress. Leaving you time to focus on what you write and create. Great for those who are not so designed minded or just struggle with the technical aspect of website building. However, humans need a certain level of fluidity to be able to concentrate. Otherwise many will not even bother to read your post. If you want comments on your blogs, ask. Want a social share, ask. To be honest, most things you need and want as a blogger you will need to ask for. So it is no time to be afraid to ask for what you want. This doesn’t mean you’ll have a million retweets but you will notice an overall difference. Don’t be afraid to just ask! This is a hard question for me to answer as I feel that the things I would have differently may have altered my journey! I can’t just ignore certain factors that I wish I had known or taken into account when starting my blog. WordPress.com and WordPress.org aren’t the same. WordPress.org offers more freedom in design, template editing and a various selection of tools that are used for blogging. You, however, must be self-hosted with your own domain name to use these services. Due to having a more creative licence over the site I wish I had started with the Org site. What I mean by that is all the bits and pieces that equate to a ‘good’ blog in the statistical sense. If you’re not sure what I mean or you think you do, here is a short list of reading suggestions for you. Just a few terms to read up on and become equated with. These should help you start a blog with some real focus on the right areas. Remember though my loves, your posts need to be of good quality. That’s not to say a spelling mistake will ruin your blog. It’s about what your saying and what the reader is able to take away from it. Whether it is practical advice, consumer advice or even emotional advice. Great housekeeping tips or tricks for great hair. Is it a feel-good story that reminds people to take a moment in life. Whatever it is if you are focused on what your audience is being able to take away from it. Keep this at the forefront of your blog. Then you have a great chance of having a successful blog. I have to say though I wouldn’t change much about my blogging journey and can’t express my gratitude to WordPress for giving me a space for a creative outlet. It really is such a huge part of my life now and I love it. Have you considered starting a blog? Are you considering WordPress? Let me know everything in the comments or if you have any more questions you can leave them there. I hope this helps you on your blogging journey my lovelies and I will see you on the flip side.